‘I can’t remember my own name.’ Sitting on the train and watching the English countryside fly by outside, the young woman repeats the words in her head like a mantra. When she’d reported her lost handbag at the airport, the kindly man behind the desk had told her that temporary amnesia could be triggered by lots of things, and that the best thing to do in these circumstances was to go home, as a familiar environment often acted as a memory prompt. Although her handbag had contained all her ID, the young woman still had the crumpled train ticket she’d found in her pocket. Together, she and the airport official had decided it was probably a ticket to her hometown, and as the train grinds to a halt around twilight, the young woman realises she’s finally arrived at her stop. Walking through the quaint little town, the young woman turns right at the pub and heads down a lane full of old thatched cottages. Her hands are shaking by the time she arrives at the last house on the right, but she lifts the wrought-iron door-knocker and steels herself. She’s come this far. She can do this. So she knocks. “Can I help?” a man asks when he answers the door. “I live here,” the young woman manages, “this is my house”. Tony and Laura, the couple inside the house, are hospitable enough and invite her inside, but the young woman catches them casting concerned glances at each other when they think she’s not looking. They both insist they’ve never seen her before and that this is their house, but there’s no doubt in the young woman’s mind that this is exactly where she needs to be. And if there’s another thing she knows for sure, it’s that at least one person in the house is lying about what they know – lying through their teeth. 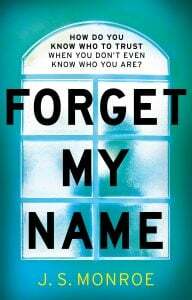 Forget My Name is an outstanding new psychological thriller from J.S. 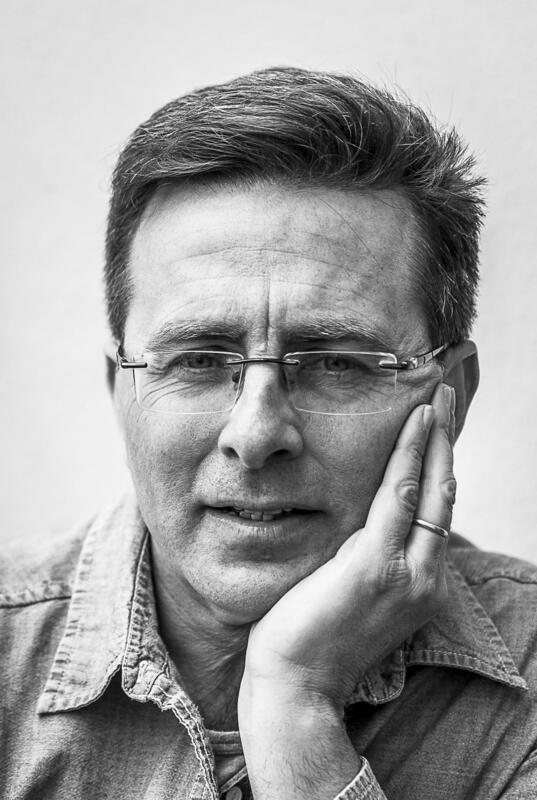 Monroe, the author behind the 2017 bestseller, Find Me. With more twists and turns than an English country lane, Forget My Name is a compulsively readable novel, and Monroe deftly moves between multiple viewpoints to follow both the mysterious protagonist and the villagers as they work to uncover her true identity. Each chapter is short and many finish with cliffhangers, which only heightens the readability. If you don’t blaze through this book in one sitting, we’d be surprised. The characters in Forget My Name are complex and compelling, and as the story moves between chapters and viewpoints, we are made to doubt things that seemed true, and to re-form over and over our impressions of different characters. Who is telling the truth and who is lying? Monroe will keep you on the edge of your seat until you find out. The places visited in the book deserve a mention too. We always love a mystery set in the English countryside, but Forget My Name takes some interesting detours to Berlin and southern India, which gives the story a really unique feel. If you’re after a fast-paced, action-packed and cleverly plotted thriller, we highly recommend Forget My Name.